Left Handed Dude: The Garden Bridge: Oasis in the city or bridge to nowhere? The Garden Bridge: Oasis in the city or bridge to nowhere? The Garden Bridge: a glowing tribute to London's enduring ability to create greenery amidst concrete and glass, or is it all just a stitch-up? Left Handed Dude investigates. Picture the scene: 1970s-era London. In the decades since the world wars, the city was receiving something of a facelift. Like a phoenix, the post-Blitz London emerged, remade in the form of concrete structures such as the Barbican Estate and the Royal National Theatre. An architect by the name of Richard Rogers was tasked with an ambitious task: to help construct new office space between the riverfront and Waterloo. Part of Rogers' plans included ideas for a bridge that would stretch from the South Bank to the riverfront close to Temple Chambers. The office project went full-steam ahead, but by the mid-1980s, the plans were abandoned for the accompanying bridge. Left Handed Dude understands that there was concern over the project back in the 1980s, particularly in Temple Chambers, as it reportedly feared a bridge in the area would lead to an increase in unwanted foot traffic around Chambers. The bridge was effectively put on ice at this juncture. Fast-forward to 1998. The country was feeling the aftershocks of the frenzy over the death of Princess Diana the previous summer. As a tribute to the so-called people's Princess, actress Joanna Lumley proposed a memorial garden footbridge. It was another fifteen years before the Garden Bridge Trust is established, and this is where things start falling into place. The design is unlike anything London has seen before. Back in May, the bridge was expected to be completed by 2018, but now this has been pushed back to 2019 at the earliest. When finished, it is envisaged to consist of two elongated ovals, with pathways amidst trees and shrubbery. The two ovals are designed to meet at the midpoint, and the designs mean the bridge would be 30m at its widest, but would then narrow down to a puny 4m at the middle. "The maximum amount of people who are allowed on the bridge is 2,500 people", claims Wai-King Cheung. The narrowing of the bridge is "an obvious, obvious bottleneck", she adds. Ms Cheung is a leading member of local pressure group Thames Central Open Spaces (TCOS), which is opposed to the Garden Bridge. A quick end-of-week visit to the spot where the bridge is due to be built, and flyers are clearly visibile, posted onto trees, bearing the TCOS name. 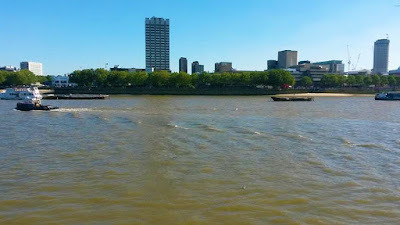 The Southbank-side of the bridge is currently a plot of land, dotted with benches and trees close to the ITV studios block. The bridge is expected to be higher than the ground level on both sides of the river. As a result, once construction is completed, some of the land on both banks will be lost to the access ramp/stair structures leading up to the bridge. Addressing concerns about a bottleneck, a spokesperson for the Garden Bridge Trust confirmed to Left Handed Dude that although picnics will be permitted on the Bridge, the design is such that visitors will be able to leave the main paths and make use of garden spaces amongst the planting, avoiding the aforementioned bottleneck. TCOS is keen to point out that when they say they'll allow picnics, they don't mean setting down a rug on grass, as you'd expect, owing to the fact that there's no grass to sit down on. Visitors are encouraged to use benches or eat on the move instead. "We weren't told, 'would you like it? '...they [the trust] did all the preparatory work without even bothering to consult any of the residents...they landed it to us as if it was a fait accompli at a public meeting in the summer of 2014..."
"It’s not just Boris Johnson, it’s a massive Joanna Lumley and Thomas Heatherwick vanity project...for one person to impose her will on the whole of London...it's incredibly selfish". It's no secret that Joanna Lumley has history with the Johnson family. Ms Cheung points out that the Absolutely Fabulous actress has been a family friend of the Johnsons since Boris was at least four years old. To members of TCOS, the whole idea feels a bit like an establishment arrangement, with shadowy players making moves behind closed doors, that have a material impact on their very own doorsteps. The main purpose of the Garden Bridge project is its intended use as a recreational space, in the heart of Europe's most-populated city. It's hoped that the bridge will last, especially given that fact that the bridge supports are arranged to be constructed using a special copper-nickel alloy called cupro-nickel. Mining giant Glencore has been in a position to donate the cupro-nickel, a special alloy designed to prevent corrosion, thus keeping the bridge spotless for decades to come; a blemish-free vesitage of the Johnson mayoralty perhaps. "Whereas most competitions look for aspirational, utopian responses, my brief called for the most disrupting, damaging designs that could be imagined...something as environmentally-damaging, pointless and plain stupid as the Garden Bridge...it should also cost at least £60m to build..."
"The Garden Bridge is a hugely troubling thing in itself, but I also quickly realised it was a powerful symbol of so much which I dislike about many things today: lack of public consultation, greenwash and the façade of environmental improvement instead of actual action." Folly for London is a one-man band right now. Mr Jennings established the Folly for London project as a one-off event back in 2015, and expected to move onto newer projects. However, once he realised this project was attracting as many as 50 ideas from around the globe, he realised he had set something in motion which, in conjunction with TCOS, could serve as a multi-prong attack on the bridge idea. 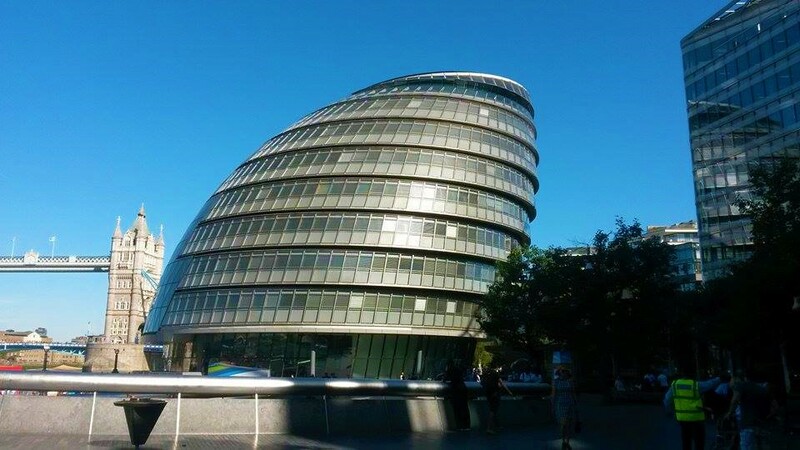 "The privatisation of urban spaces...the blatant waste of public finance in a declared time of austerity, and the cronyism and connections which give the few privileged priority over democratic process." So what is the fate of the Garden Bridge right now? It's complicated. 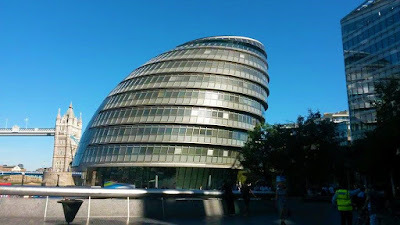 The new Mayor of London, Sadiq Khan, was seemingly in favour of the idea during the Mayoral race, but people like Will Jennings believe he was just doing this to appease sections of the media, whilst actually being against the idea. 2.) £115m is needed from the private sector. What was thought to be a £30m-sized gap is now believed to be £52m, owing to what a BBC article referred to as "a small number of pledges made by interested organisations [which] did not progress to formal funding contracts." Mr Khan admitted last week in an interview on LBC radio that it was no "state secret" that the Garden Bridge could potentially be scrapped, but in an interview in May, he also claimed that it would be more costly to the taxpayer to scrap the project entirely. For now at least, the waters around Temple and Southbank flow unimpeded. The tree-lined riversides remain intact for another day. For how much longer though? We'll just have to let some water pass under the bridge before we know for sure.